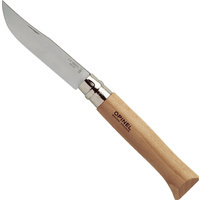 This item will be shipped to you within 3 business days. 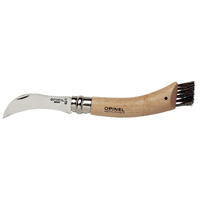 If not in stock, it may be back ordered. Please contact us regarding availability and delivery time. 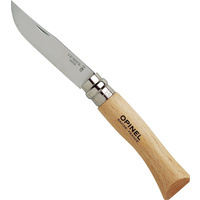 The No 9 model Opinel is a rather large folding knife. 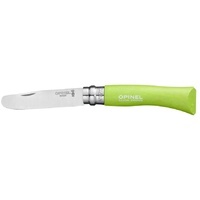 Please consider the size of this knife if you intend to carry one in your pocket. 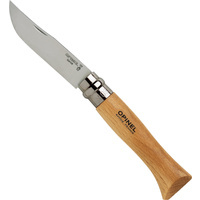 The Virobloc safety ring is a mechanism that will lock the blade closed or open position. 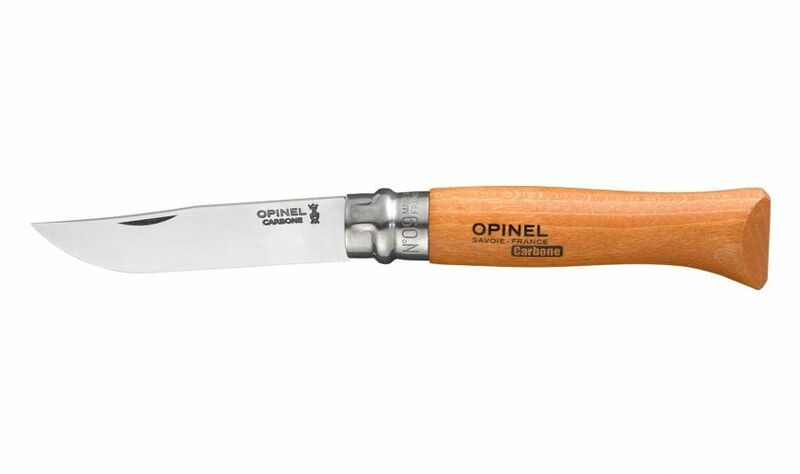 The Opinel company was founded in 1890 in Chambery in the Savoie region of France by Joseph Opinel, who’s descendants still own the company. 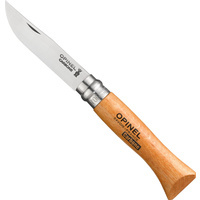 Opinel employs around 100 people, produces 4 million knives per year and sells to more than 70 countries across the world. 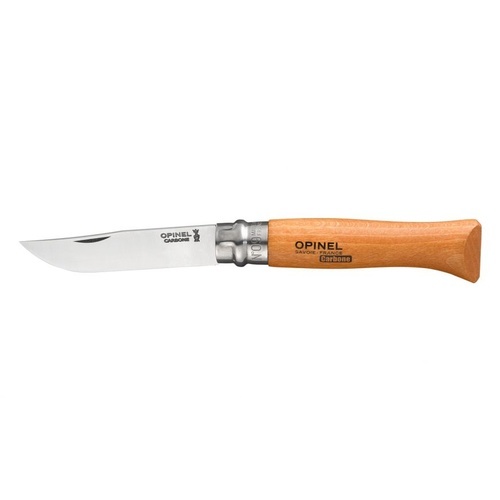 The easily recognisable Opinel folding knife is acknowledged as one of the best knives in the world and has won several design prizes. 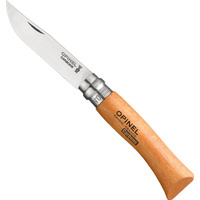 Most handles are beechwood unless otherwise stated. 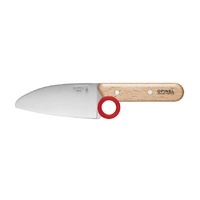 All knives from size 6 upwards have a Virobloc safety system on the ‘collar’ which locks the blade into the open or closed position. WE HAVE MANY MORE KNIVES IN THIS RANGE TO ADD TO THE STORE. IF IT IS NOT HERE PLEASE ASK. KNIFE SHOP AUSTRALIA IS AN AUTHORISED AUSTRALIAN RETAILER OF OPINEL PRODUCTS.